The general surgery residency of the Department of Surgery of the Emory University School of Medicine is a five-year training program accredited by the ACGME and approved by the Surgery Residency Review Committee for nine categorical positions and five non-designated preliminary positions. Residents from the integrated plastic surgery, cardiothoracic surgery, and oral and maxillofacial surgery residencies also rotate with our program, as well as residents matched in Emory's urology program that require surgical training. Residents rotate through seven unique hospitals, allowing for diversity, breadth, and depth of training: Emory University Hospital, an adult, tertiary care facility; Emory University Hospital Midtown, an open staff hospital with both full-time and volunteer faculty; Grady Memorial Hospital, the Atlanta-area public hospital containing a Level I Trauma Center and Burn Unit; the Atlanta VA Medical Center, a major affiliate of Emory School of Medicine staffed by Emory physicians; Children's Healthcare of Atlanta at Egleston, one of the largest pediatric multispecialty group practices in the country; Emory St. Joseph's Hospital in northeast Atlanta, noted for neurologic, vascular, gastrointestinal, respiratory, orthopaedic, and cancer care, among other specialties; and Piedmont Hospital, a private facility that has been serving Atlanta for over 100 years. Please see Facilities and Rotations for more details on these hospitals. Special features of our program include simulation-based, minimally invasive surgical training; an option to pursue early specialization training (ESP), including ESP in cardiac or vascular surgery and the option to participate in Flexibility in Surgical Training (see below); and our robust, extramural studies program which includes traditional bench-top research, studies in public health, outcomes analysis, and clinical research with support for pursuing such advanced degrees as an MBA, MPH, Masters of Science in Clinical Investigation, or PhD. With an academic mission that encompasses more than developing superior technical skills, we also give residents the resources to pursue leadership roles in such fields as health administration, policy initiatives, and global health. As a member of a nine-institution consortium that includes Brigham and Women's Hospital, Cornell University, Johns Hopkins, Massachusetts General Hospital, Northwestern University, Oregon Health and Science University, University of Oklahoma, and Washington University in St. Louis, Emory's general surgery residency began piloting the American Board of Surgery's Flexibility in Surgical Training (FIST) program in July 2013. A product of the transforming vision of the American Board of Surgery, FIST deviates from the focus of traditional residencies by allowing up to 12 months of flexible rotations in the last 36 months of general surgery training. Each of the FIST centers is providing a different assortment of focused learning experiences to its residents, with Emory offering flexibility training in plastics, transplant, surgical oncology, endocrine surgery, advanced GI, and comprehensive general surgery this year. 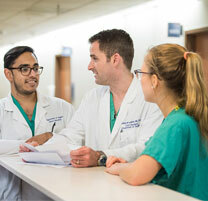 Additional opportunities exist at Emory if desired, including pediatric surgery, colorectal surgery, and early specialization programs in vascular surgery and cardiothoracic surgery. The FIST trainees' outcomes criteria will be examined as they are monitored from training through certification in their intended specialty. One of the consortium's primary concerns is insuring that the quality of non-participant residents' training experience is unaffected by the presence of various focused tracks. Advocates of the flexibility ruling believe that the incorporation of focused training into general surgery residencies will actually benefit those whose planned specialty is, in fact, general surgery, and improve their overall training experience. 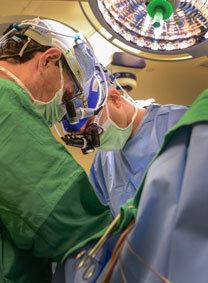 For interested residents, the Emory Department of Surgery offers various opportunities for acquiring dedicated research time, such as working in one of our highly productive laboratories, assisting faculty with outcomes research, or working in any one of our numerous clinical research programs. The Department prides itself on considering and supporting any avenue of study, provided the resident has a reliable mentor and well-considered research objective. While research sabbaticals are not a requirement of our residency program, the Department recognizes that dexterity in research is vital for an academic surgery career, can facilitate adept decision making in clinical practice, and provides valuable skills regardless of the resident's ultimate career path. 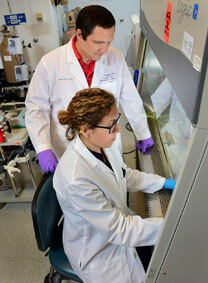 Research is also a component of our numerous fellowship programs. Visit general surgery resident research sabbaticals for more details. Our residents have access to two locations for state-of-the-art computer based instrument and surgical skills training. The Office of Surgical Education in Emory University Hospital includes a simulation lab with 24-hour access, which gives residents the opportunity to develop and polish their skill-set at virtually any time their academic/clinical schedule will allow. Additional features of this advanced education suite include an OR table, video-recording capabilities, various work stations, dedicated office space for chief residents, two touch-screen monitors for directed education, a classroom with a large, interactive digital projection screen, a common area and kitchen, and two call-rooms where residents can shower or rest while on-call in the hospital. Under the oversight of Dr. Jahnavi Srinivasan, director of surgical simulation and elective programs of the Department of Surgery, our residents also have access to Emory University School of Medicine's Center for Experiential Learning (EXCEL). Located in the James B. Williams Medical Education Building, EXCEL has over 10,000 square feet of educational space housing simulation tools, a mock operating room, OSCE suites, and a fresh-tissue anatomic laboratory. Dr. Srinivasan manages a variety of simulation training opportunities at both locations, ranging from fundamental surgical skill sessions involving suturing and knot-tying to more advanced programs tailored to individual needs in open and endosurgical procedural skills and OR-based team training. Formal curricular activities include weekly skills-training and development sessions integrated into the PGY 1-2 Core Curriculum and a required Fundamentals of Laparoscopic Surgery Program that has certified all graduating PGY-5s to-date. 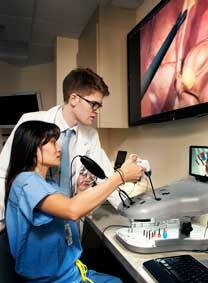 The junior-level simulation program has also been added to the School of Medicine core medical education curriculum.